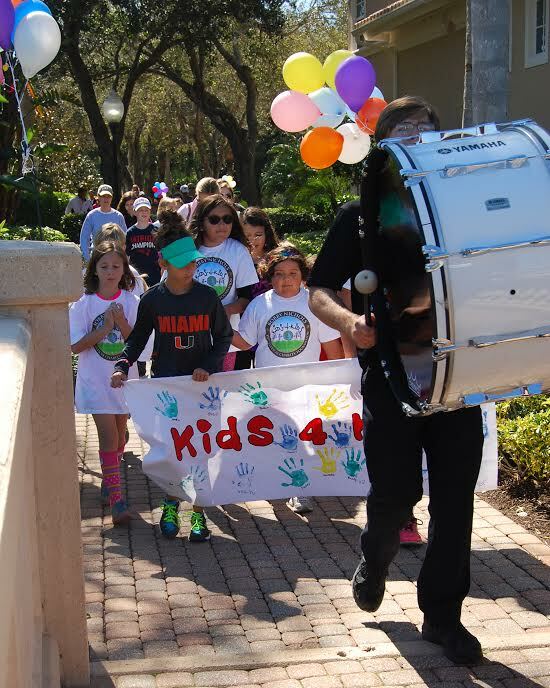 The Bishop Verot Drum Line led the Bobby Nichols Fiddlesticks Charity Foundation's Kids 4 Kids Walk-A-Thon this past weekend. The Bobby Nichols Charity event included the Walk-A-Thon, Tennis Tournament and Golf Tournament. Bishop Verot National Honor Society students also volunteered their time to help with the weekend's events. The Foundation raises funds to benefit abused and at-risk children in Southwest Florida.